I am officially 8 months pregnant now…t-8 weeks till we meet our little peanut! 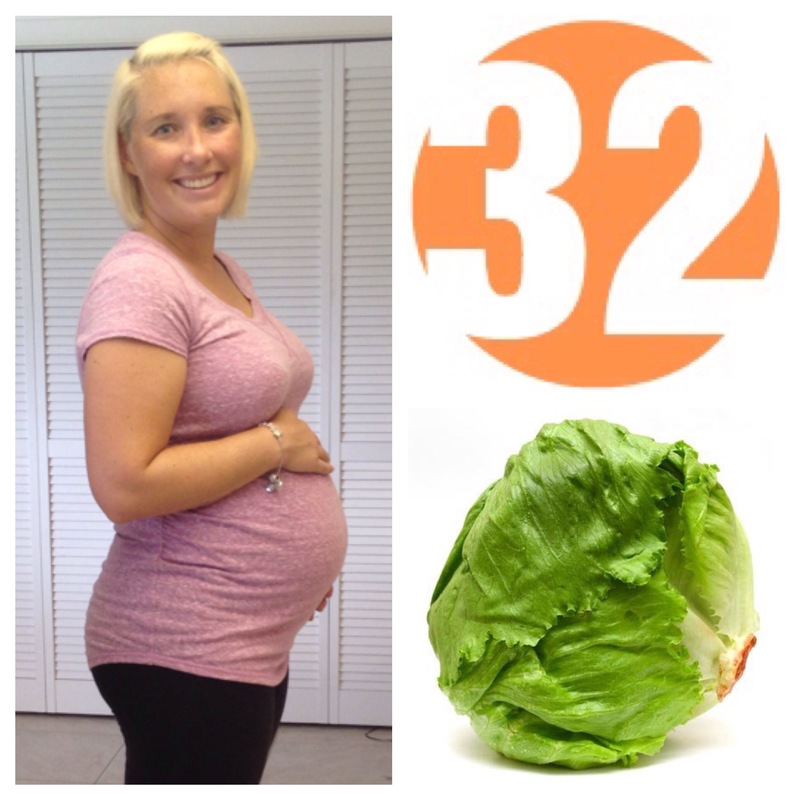 This week, Peanut is the size of a head of lettuce. So she should be anywhere from 18-19 inches long and nearly 4 pounds! Baby Prep: The last couple weeks I have been attempting to truly prep myself and my husband for Peanut’s arrival. Just today we toured the hospital where she will (hopefully) be born. The hospital is beautiful and I feel a bit more confident in the labor process. Apart from slowing getting the nursery put together (thankfully, we are almost done!) I put the baby’s car seat in the back of the car already. You may think this seems a bit early…but we want our puppy, Morrison, to get use to tiny human things being in his normal areas. In this case, it’s the back seat where he sits during car rides. Other than sniffing the new object, he did great and shared like a champ! Other Baby Things: I am now going to see the OBGYN every two weeks versus every month. Must mean its crunch time. I am also rotating doctors so I am able to meet all possibilities who could be delivering my baby. Baby is quickly running out of room in the womb and let me tell you CAN I FEEL IT! I am now able to feel my skin stretching daily and I won’t say it is a good feeling. However, I can’t say much because I would not be happy if I was in a tiny, cramped space either…so she is worth the discomfort. Also, let me just sum up my sleeping these days: LABOR NIGHTMARES! Holy worst thing ever. Baby’s Birthday: So, although baby is due November 8th, I can’t help but have this feeling she will be like her daddy and have an October birthday. My mom’s guess is she will be here October 18th. I am still debating on the date I want to guess for her arrival. I find that it still has not fully sunk in that in a couple of months I will have a tiny human needing my undivided attention and stealing all the pieces of my heart. It amazes me that something so beautiful can be created in only 40 weeks and inside my belly. Virus Disclaimer: Although our Firm attempts to scan e-mail and attachments for viruses, it does not guarantee that either is virus-free and accepts no liability for any damage sustained as a result of a virus.